You’re more than part of a close-knit, diverse community — you’re part of the family. After all, your academic, spiritual and personal growth is interwoven into your student experience. With over 100 different student organizations focused on spiritual growth, social issues, academic pursuits, athletic endeavors and a wide variety of other special interests, prepare to connect, grow and flourish. So show your Bison spirit. Get involved in special events, clubs and activities on campus. Join a service group, volunteer in Nashville or share a foreign language. Learning here will transform and challenge you, academically and spiritually. Let us help you nurture your soul, find community and help you discover who you’re called to be. "The SAC" is more than 20,000 square feet of sports and exercise facilities open to students, faculty, staff and the community. Our students, faculty and staff are given free memberships and can enjoy any of the space and equipment. The SAC features weight rooms, basketball and racquetball courts, a spinning studio, a performance studio, an indoor track and locker rooms. You can get involved with student-led groups, Greek Life, SGA, professionally-driven organizations — or by starting your own club. Create your own club or team. Or join an existing team playing sports including kickball, ultimate Frisbee, softball, tennis, football, racquetball, volleyball and basketball. If Bison Square is the heart of campus, Bennett Campus Center is the soul. This is where you'll relax, eat, study and chill. Inside you'll find Bison Cafe, the food court, Starbucks, The Connection, TV areas, conference rooms and our bookstore. Entertainment is never far away with Shamblin Theatre and Flatt Amphitheater, both home to performances, meetings, debates and other special events. Bennett is also home to our Student Life offices, so feel free to stop by and say hello. We have taken pride in our commitment to spiritual growth since our earliest days. Our commitment remains the same today. In fact, we’ve developed these spiritual growth opportunities to move into the communities around us — near and far. We’re ready to serve you with all of our resources, whether your needs be recreational, spiritual, mental or physical. Our aim is for you to reach your highest state of wellness in body, mind and spirit. As a student at Lipscomb, you will experience many cultural differences. And we believe in empowering our campus community of over 50 nations to engage with one another. We're ready to help you find housing, get moved in and figure out what else you need during your time here. Some of your greatest memories of Lipscomb will be those made while living on campus. One of the greatest advantages of choosing Lipscomb University is living in Nashville. It's a big city and an even bigger opportunity. We consider Nashville an extension of our campus. As a leading city in health care, music, entertainment, technology and finance, you’ll gain experience and insight you won’t find anywhere else. When you’re a student at Lipscomb, you have a plethora of opportunities to engage with the campus community and throughout the Nashville area. 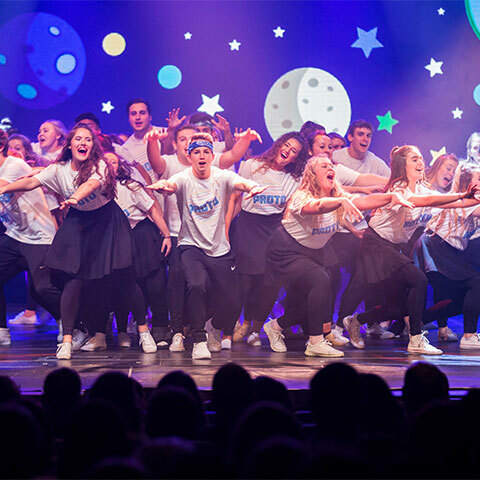 From camping trips to intramural sports, Greek life to honor societies and special traditions like Singarama or Service Day, you’re bound to build relationships and discover more about yourself in the process. So explore your options. We believe that offers a huge opportunity to create a learning and caring community that will become an important part of your experience here. We have high expectations for that experience — we want this to be the place where you become the best version of yourself and where you are equipped to make the maximum positive impact on the world around you.